press conference - CD-Cops, WinCops, software security, software piracy, anti-piracy, license management, license control, software protection, key diskette, encryption, cryptography, anti-piracy, intellectual property, Internet security, access control, copy protection, computer security, CopyLock, DialCops, WebCops, linux protection, "macintosh protection", mac protection, macOS,OS X, linux. 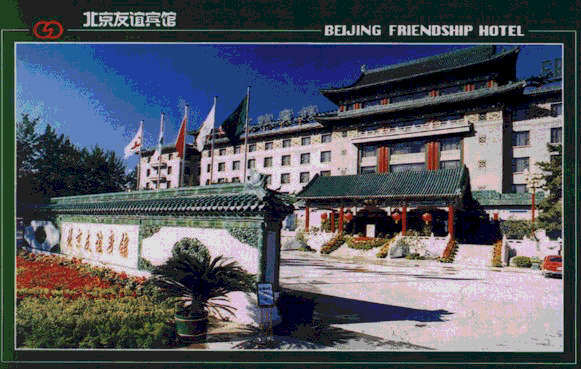 On July 22nd 1999, a press conference was held in the conference rooms of The Beijing Friendship Hotel, Asia's largest garden style hotel. It was announced to the 90 attendants that Beijing Goldensoft Ltd., China, had signed an exclusive distributor agreement with Link Data Security A/S in Denmark regarding the CD-Cops CD-ROM protection technology. The product is marketed under the name "Guan Pan Gou"- meaning CD-Dog - along with the CD-Cops brand name. President Chen Longsen from Beijing Goldensoft Ltd.
and President Hans K. Pedersen from Link Data Security A/S. Chen Longsen talked about the exclusive distributor agreement and described the detailed tests that had led to the choice of CD-Cops as Goldensoft's CD-ROM security solution. An important point from Chen Chong's speech was that the Chinese government knows that they lose tax income and other state fees from illegal pirate copies. So it is in the interest of the country to encourage the use of products such as CD-Cops. Gao Qun pointed out that China still had some way to go in trying to minimize pirate copying - using good protection systems as well as enforcing copyright laws. Hans K. Pedersen explained why the CD-Cops principles were different from other similar systems. And he acknowledged that the Chinese market was big today - and the market of tomorrow. He was confident that Goldensoft would be able to achieve a leading position on the Chinese CD-protection market with CD-Cops in the same way they had been able to do it in the dongle market. Secretary General Hu Kunshan from China Software Industry Association was attending and General Manager Xu Jian from China Association for Science and Technology performed translation between English and Chinese. 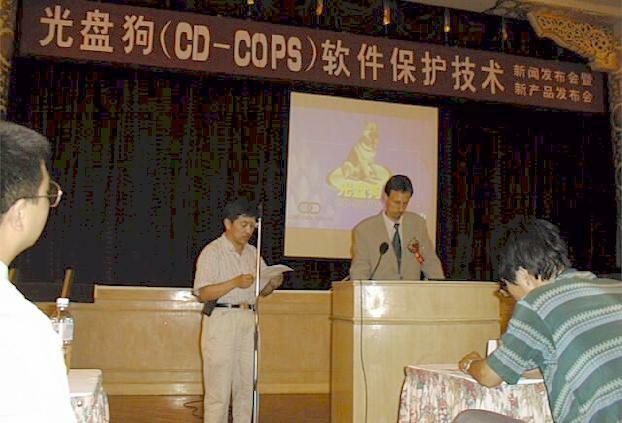 After the speeches the CD-Cops product was demonstrated by Technical Coordinator Glen Wu from Goldensoft and questions from the journalists were answered. The press conference took approximately 1½ hours .